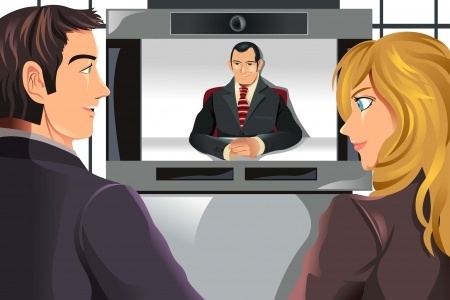 Do your virtual teams know how to use video conferencing to build trust and confidence? Most people working on virtual teams do not enjoy video conferencing. However, if you want to build trust in your virtual team you need to be using video conferencing on a regular basis to communicate. Web and video conferencing is an essential tool you need to use as an alternative to the face-to-face communication you would usually get in a typical work team working environment. For your next virtual team building activity gather your virtual teams together online to watch Patrick Dixon’s video presentation “How (not) to do video calls: virtual teams management advice”. The video presentation is less than four minutes long, is highly entertaining, especially for virtual teams and is full of great advice to build trust, and confidence within your virtual team. #1 Open up your online conferencing room and start the discussion by asking your virtual teams to talk honestly about how they feel about video conferencing, how often they video conference with other virtual team or remote team workers and how important they believe video conferencing is in developing trust across the virtual team. #2 Introduce the video and run the presentation onscreen so the entire virtual team can watch the video simultaneously. https://www.youtube.com/watch?v=ZEUYFkGEurA. You’ll likely get a few laughs from your team because they will really relate to what Patrick Dixon shares with them. #3 Discuss the highlights from the video together, and document the improvements the virtual teams want to make in regard to communicating with each other. #4 Arrange the team members to work together in pairs to practice their video conferencing techniques based on the information Patrick Dixon has shared. Ask them to talk about how they balance work-life lifestyle while working on a remote virtual team. Ask them to record their video session just for fun! The ultimate goal of the virtual team building activity would be to have your virtual team members communicating together, face-to-face, using more eye-contact online on a regular basis. By doing so you will build more trust and confidence across your virtual teams.